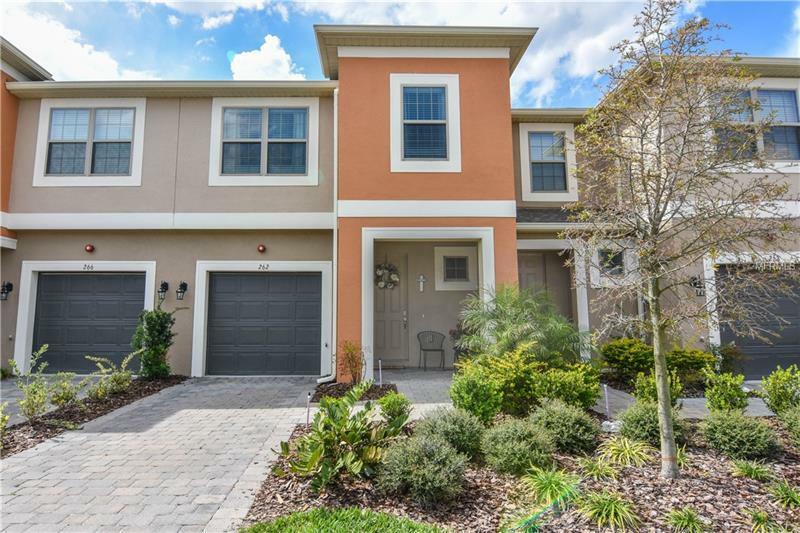 This is your chance to own a beautiful townhome in Thornbrooke at Towne Center in one of Central Floridaâs most sought-after locations! Beautifully upgraded 1900 square foot townhome with 3 bedrooms and 2 1/2 baths. The first floor offers upgraded grey tile throughout, most current paint colors, 42â cabinets, Island, backsplash, stainless steel appliances and open spacious floor-plan; great for entertaining! Large living and dining room opens on to private patio. Upgraded open staircase. The 2nd story offers an oversized master bedroom suite with sitting area and spa-like bathroom featuring dual sinks, upgraded shower and walk-in master closet. The laundry room is conveniently located on the 2nd floor. Additional bedrooms are spacious and offer generously sized closets. Guest bath has lots of counter space and double sinks. Start enjoying staycations and take a splash in the community pool this summer in the sought after community Thornbrooke. HOA includes lawn care. This Unbeatable location, known for it's top-rated Schools and Easy access to all major highways, SUNRAIL, shopping and dining. This Stunning home will not last long. Schedule your private tour today! Fully upgraded! This home may be under audio and video surveillance.